The Sydney Morning Herald shares terrariums from three prominent terrarium developers in the Melbourne area. Designers including Petite Green, Miniscapes and Bosky have given a 70s fad a very contemporary sensibility. 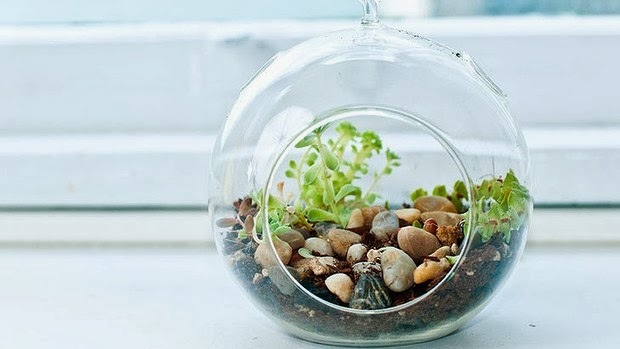 Click through to visit the websites of these terrarium designers and to explore a quick set of instructions for designing your own terrarium. ‘‘Each terrarium is its own little world within the jar,’’ says Melbourne’s Petite Green, who also makes mossariums - terrariums that contain mostly moss and small figurines.